Mini open ear hearing aids (BTEs) are highly effective in the elimination of the occlusion effect and are also rather small compared to conventional hearing aids. This is why the open ear hearing aids are becoming more popular. These devices provide natural sound quality, better physical comfort and they are also very effective in noisy listening environments. 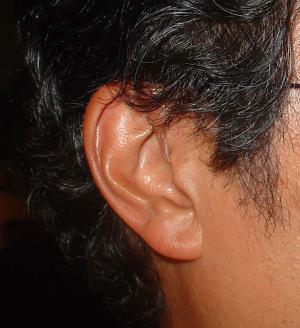 There are two types of open ear mini-BTEs available. They include aids with the speaker (receiver) in the ear (RITE) and aids with a receiver within it (RITA). A person suffering from hearing loss should always consult with an audiologist before getting an open ear hearing aid. The audiologist will determine whether the person can benefit from using a hearing aid, and what the best model and style is would be for the patient to get, he will also fine tune the unit and once this is achieved, a patient is ready to go. A patient can be prescribed one of two models of open ear hearing aids available, acoustic tube open fit model and speaker in the ear model (SIE). Acoustic tube open fit model is in a form of a plastic shell which contains all the electrical components of the device. The sound from the surrounding is initially processed in the plastic shell and then sent via the acoustic thin wire to the inside of the ear. In speaker in the ear model (SIE) the speaker is transferred from the plastic shell to the tip of the acoustic thin wire. This makes this particular type of an ear aid suitable form many hearing disabilities. It is more convenient for high-frequency hearing impairment. Even in severe hearing loss a patient can benefit from a speaker in the ear model if it is used together with a dome-tip ear plug or a custom ear mold. What are Advantages and Disadvantages of Open Ear Hearing Aids? The most significant advantage is a significant reduction of the occlusion effect. The device is small and light in weight which makes it suitable and easy to fit. This particular device is perfect for normal low-frequency hearing impairment and today they are so adapted that are also convenient for high-frequency hearing disability. Since they contain directional microphones open ear hearing aids allow the patients to directly face and point to the speaker and still get better sound clarity. They are also highly efficient in noisy and crowded places. And finally, these devices are affordable to majority of patients. One disadvantage of open ear hearing aids is the fact their battery is short lived. Furthermore, the directional microphones are simply not adaptable in a sense of volume control. And one more disadvantage is limitation to the amplification of sound frequencies. Should you wear one or two hearing aids? What are the advantages and disadvantages in fast food chain? i can hear my computer think!! !